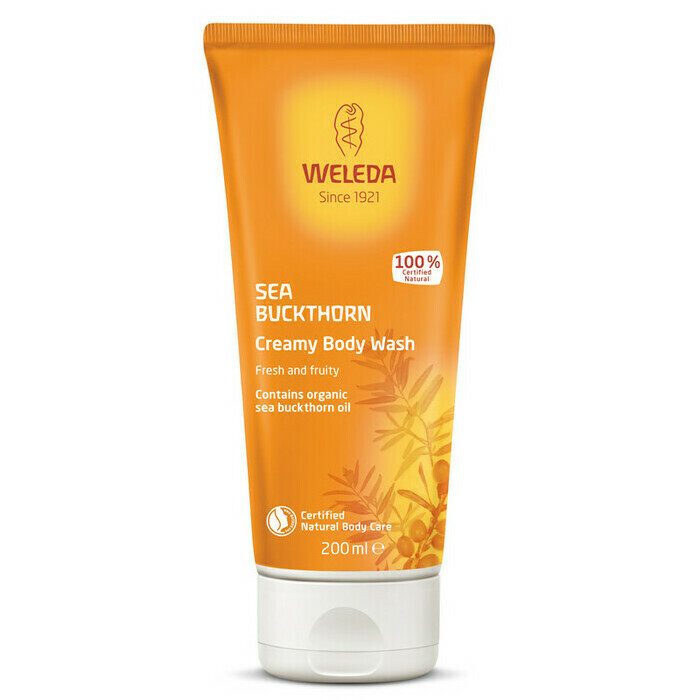 Nourish and clean your body with the Sea Buckthorn Creamy Body Wash from Weleda. 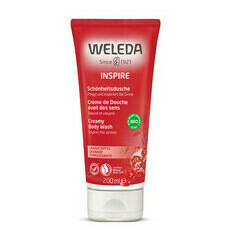 This has a fresh, fruity aroma and cleanses without drying out your skin. 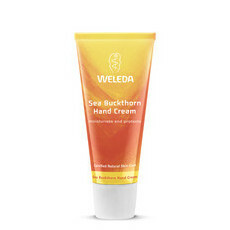 Created with bio-dynamic Sea Buckthorn Oil, sun-drenched Orange Oil, Grapefruit Oil and Fermented Coconut, this is a low foaming, creamy formula that is gentle but effective. 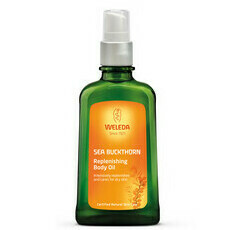 It layers beautifully with the matching Weleda Sea Buckthorn Replenishing Body Lotion and Sea Buckthorn Body Oil. Made in Switzerland. NATRUE Certified Natural. GMO & Cruelty Free. Vegan. Certified Fair Trade. Nature & Health Natural Beauty Awards 2015, Best Shower Gel: WINNER. Coconut Oil, Grapefruit, Sea Buckthorn, Sesame Oil. Water (Aqua), Sesamum Indicum (Sesame) Seed Oil, Coco-Glucoside, Alcohol, Disodium Cocoyl Glutamate, Glycerin, Chondrus Crispus (Carrageenan), Fragrance (Parfum)*, Hippophae Rhamnoides Oil, Xanthan Gum, Lactic Acid, Limonene*, Linalool*, Citral*. * From Natural Essential Oils. So creamy and non irritating. Regulalry buy this. Smells and feels nice, not stripping at all.